Part II went live on Breach Bang Clear yesterday. PFC Steven Green had just told Sergeant Tony Yribe he murdered an entire family. To put it mildly, Green wasn’t the most credible guy in the platoon. Yribe didn’t believe him. However Green, who had not gone on the patrol to the house, was able to exactly describe the crime scene: he knew where all the victims were, what positions they were in, and how they had been killed. Yribe decided, for reasons he will explain later, not to report it. Instead, he told Green he would be kicked out of the Army. Yribe would send him back to combat stress, Green would report that he was going insane, the Army would look at his previously known mental problems and discharge him. Green went to combat stress. 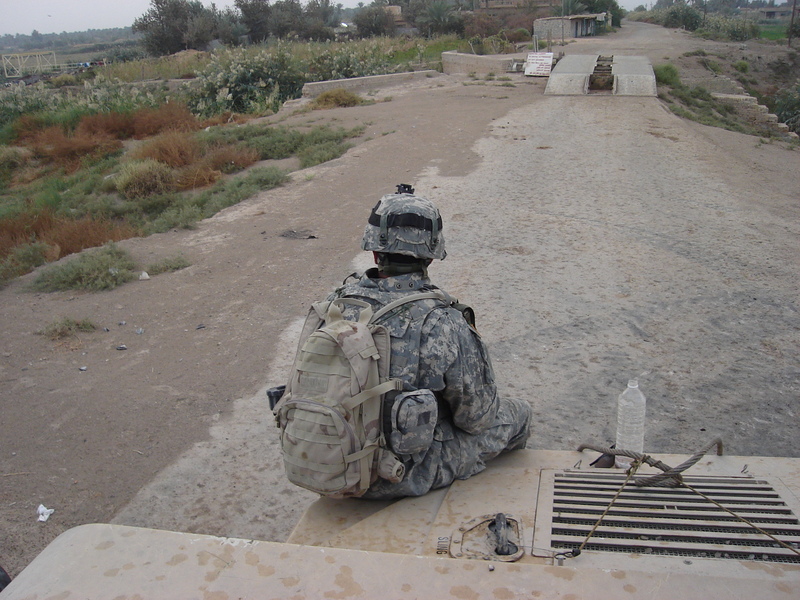 Within weeks, he was out of Iraq and out of the Army. The crime was effectively covered up. Local Iraqis didn’t suspect Americans had committed the crime; the only people who knew were the criminals themselves, plus PFC Howard and Sergeant Yribe. Among all the other violence raging throughout Iraq, the mass murder of an innocent Iraqi family was quickly forgotten. Three months later, on June 16th, 2006, first platoon was hit by an absolutely predictable disaster. Three low-ranked soldiers, left to guard a bridge alone at a position called the Alamo, in only one vehicle with no barricades at all for protection, were attacked by insurgents. Other platoon members at different checkpoints heard the gunfire, rushed to the bridge and found Specialist David Babineau dead in a canal. Two PFCs, Kristian Menchaca and Thomas Tucker, were missing. The American military went into overdrive to find the missing soldiers. Already stressed, weakened and battered, first platoon was now in chaos. In the midst of that chaos, Justin Watt and Tony Yribe found themselves having a quiet conversation at a Forward Operating Base. They had been sent there for medical appointments before the attack on the bridge checkpoint. When they heard about it and tried to go back to their platoon, they were told to stay put. Watt was incredulous; he couldn’t believe what was happening, what had been happening for months. He had withstood all the horror and heartache of the deployment thus far without bending; he had watched Nelson and Casica fade away after they were shot, absorbed the emotional blow when Lieutenant Britt and Specialist Lopez were blown apart by an IED, seen civilians shot and tried to save their lives, risked his life in firefights, and through it all he kept it together. But now he felt broken. On top of everything he had suffered so far, now he had to accept that another of his friends was dead and two more were probably being tortured to death. As he took in the desperate frenzy of activity, he asked Yribe a question. “Yeah, I remember,” Watt replied. What Yribe said next stunned him.